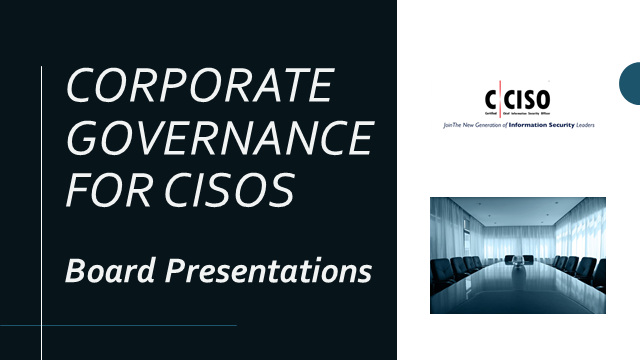 Join Keyaan Williams, Senior Executive, C|CISO Programs at EC-Council for his Corporate Governance for CISOs webinar series! The second webinar in the series will cover the topic of Board Presentations from an IS executive perspective. This session focuses on reporting the right metrics to the right people. What metrics should the CISO collect? Where do these metrics exist? What are the best ways to present this information to the board of directors and other organizational leaders?